Welcome to The Farm. In existence for over two decades, The Farm is a slice of heaven for our Miniature Herefords in the lush green hills of upstate New York. Our attention to detail and pursuit of excellence is exhibited in both our miniature Hereford stock and the painstakingly maintained grounds and facility where they reside. With the highest standards achievable, you can expect and depend on miniature Herefords from our Farm to be unmatched in every way and provide maximum productivity for the backyard enthusiast to the largest commercial enterprise. 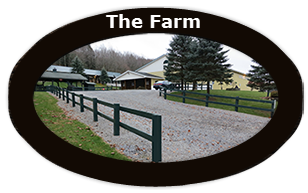 The Farm is a miniature Hereford breeder providing some of the best quality miniature Hereford cattle in the nation with a focus in the Northeast including CT, VT, PA, MA, NJ and ME. 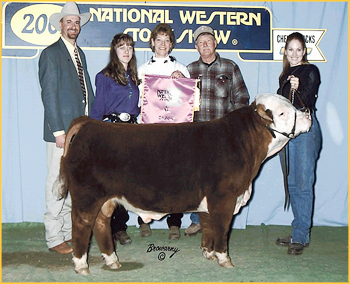 We are very fortunate to have some of the most desirable and sought after bloodlines in the world such as KAP King Henry and handpicked bloodlines by Roy Largent, whose family created the miniature Hereford breed of cattle. 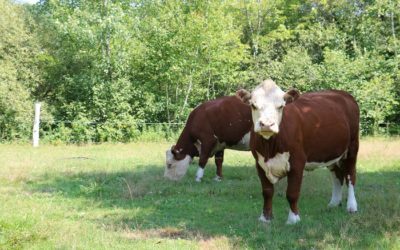 The high standards of integrity and quality are consistently evident throughout The Farm’s miniature Hereford stock and in the professionalism of our operation. We will do our best to help you start a miniature Hereford herd or enhance and existing one keeping intact and continuing our philosophy of “nothing but the best”.